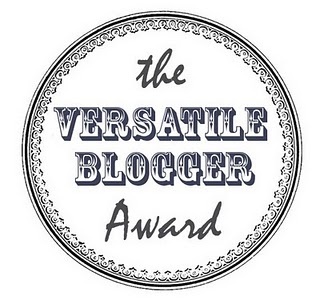 I am very exited to tell you I have been nominated for the “Versatile Blogger award”. Thanks to sweet lady from Annpaige fashion. Thank you so much!! 1. I really love cheese. I eat cheese almost every day. 2. I like to travel. I have been in 16 countries and want to see more countries in the world. 3. Pink is my favourite color. That’s why I have a pink Iphone. 4. Koln is my favourite place to go shopping. I go there several times a year. 5. I love my aquarium with fish. 6. I have always nailpolish in my bag. 7. My favourite food is Italian food. Jummy!! Thank you so much :) You made my day! cool blog! congratulations to your award, you deserve that! congrats dear! You have amazing blog! really thank you for nominating me! Will most definitely do a post about this very soon. And congratulations to yourself too! Ben jij naar 16 landen geweest?! Wow, welke dan! Ah, de Italiaanse keuken is ook mijn favoriet, hmmmm..
Leuk dat Italiaans eten ook jou favoriet is! Italiaans eten is echt heerlijk! Compliments for the award :) Mina. Ahhhh so sweet of you!!! 16 countries? Wow! Come visit the Philippines sometime! Wish I could travel as much as you do.